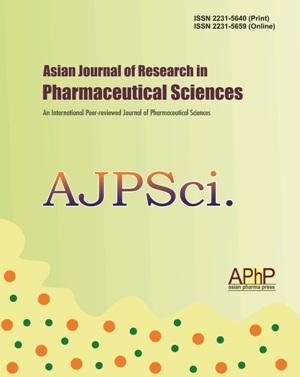 Asian Journal of Research in Pharmaceutical Sciences (AJPSci) (ISSN: Print-2231–5640, Online-2231–5659) is an international, peer-reviewed journal, devoted to pharmaceutical sciences. AJPSci publishes Original Research Articles, Short Communications, Review Articles in all areas of pharmaceutical sciences. Online since Sunday, Mar 31, 2019 Accessed 523 times.